May 1956. 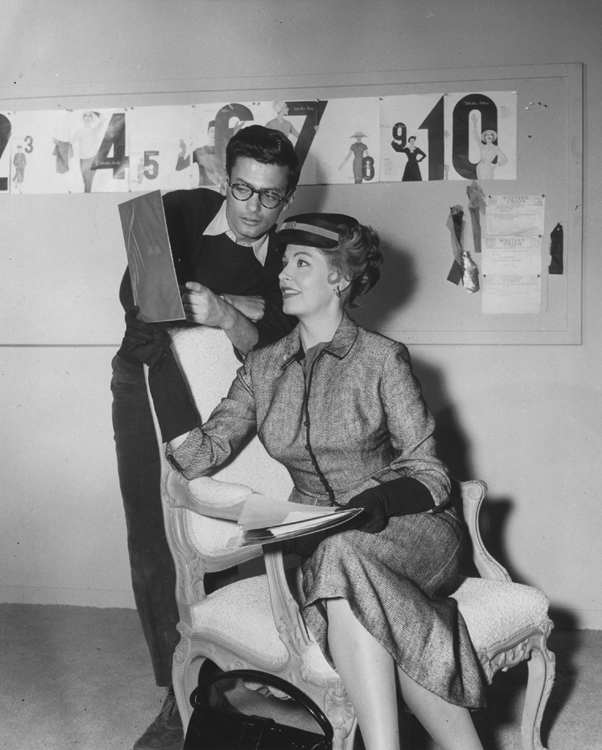 Richard Avedon looks over photographs with Arlene Dahl. Avedon, one of the 20th century’s greatest photographers, is in Hollywood as technical advisor for Funny Face, starring Fred Astaire as a fashion photographer and Audrey Hepburn as a gamine who becomes a model. In the background are magazine spreads that appear in the film. Arlene Dahl, having made her name as a Hollywood actress, has begun writing a syndicated beauty column. In 1958, two years after this shoot, she will open Arlene Dahl Enterprises, marketing cosmetics and designer lingerie. Read about the beauty tips Richard gave Arlene and Paris after World War II, where Funny Face was shot.